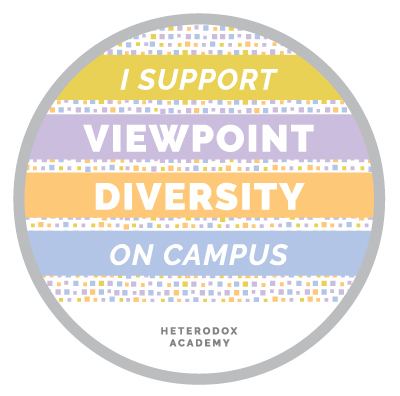 Heterodox Academy’s mission of increasing viewpoint diversity is insufficient to adequately address the dangers of “entrenched yet questionable orthodoxies” in the social sciences, academia, and the wider culture beyond. It is insufficient because the orthodoxies Heterodox sees as viewpoint outputs are actually inputs. If the inputs upon which a viewpoint is based are garbage then the viewpoint itself and the ideas and policy prescriptions that follow from it will also be garbage. If an opposing viewpoint is based on some or all of the same inputs, or on different but equally wrong inputs, then it will also be garbage. Viewpoint diversity, if all viewpoints are garbage, help nobody and hurt everybody. This, I believe, is exactly the situation in Western Culture today. Humans are a blank slate, and “human nature” does not exist. All differences between human groups are caused by differential treatment of those groups, or by differential media portrayals of group members. Social stereotypes do not correspond to any real differences.